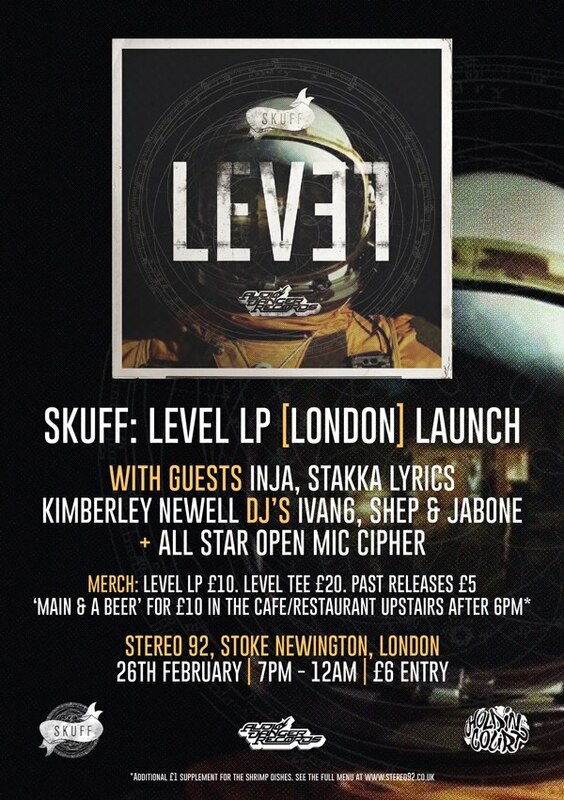 Coming up on Friday 26th February we have Skuff's Level LP [London] Launch at Stereo 92, Stoke Newington. Support on the night comes from Inja, Stakka Lyrics and Kimberley Newell plus an all star open-mic cipher. Don't miss it! Click the image above to visit the Facebook event page.